Data released by the London-based WaterAid, a high-profile international non-profit organization, which "supports" the Narendra Modi government's programmes like Swachh Bharat Mission and National Rural Drinking Water Programme, show that India is behind all its neighbours, including Pakistan and Bangladesh, in providing “basic access” to clean water. Its new report, released on the occasion of World Water Day, which falls on Thursday, the report says that, as against India’s 87.5%, who have the basic access to water, Pakistan’s 88.5%, Nepal’s 87.7%, Sri Lanka’s 92.3%, China’s 95.8%, Bangladesh’s 97.3 and Bhutan’s 97.5% have such an access. 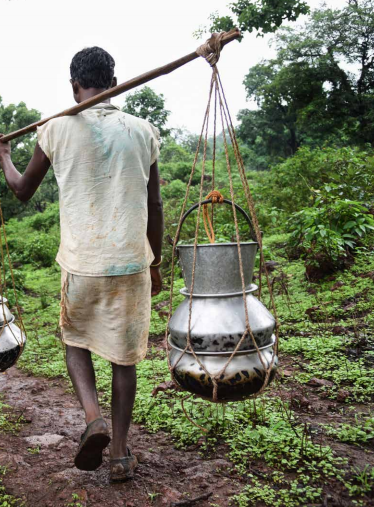 At the same time, the report provides the instance of one Kashi Ram, 50, who is shown carrying water from a nearby well to his house in Sheetal Pani village, Baiga Chak, Dindori, Madhya Pradesh. 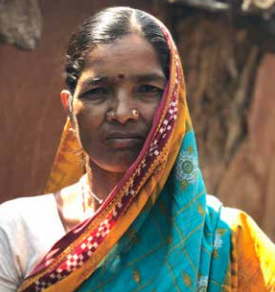 The report provides what it calls “new data” for several countries that “links water access to household wealth” in order to show that, even in countries making progress, “there are still vast discrepancies between richest and poorest”, However, it avoids providing any such data for India. 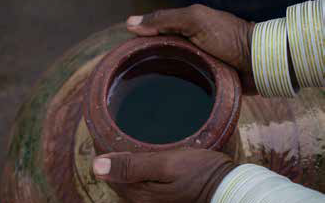 Among other countries, the “new data” show that in Bangladesh 93.2% of the poorest people have clean water as against 98.9% of the richest people, and in Pakistan, “79.2% of the poorest people have clean water 98% of the richest people have clean water”. 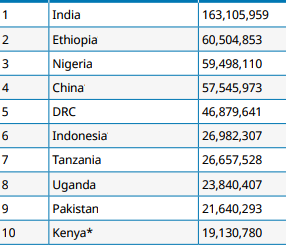 The report shows that, population-wise, India still has the largest population in the world with “no access” to clean water, 163 million, followed by Ethiopia’s 60.5 million, Nigeria’s 59.5 million, China’s 57.5 million, Democratic Republic of Congo 46.87 million, Indonesia’s 26.9 million, Tanzania’s 26.65 million, Uganda’s 23.84 million, Pakistan’s 21.64 million, and so on. How could you compare a nation of 130 billion people living in 32 lakh sq Km with Bangladesh equal to the size of Gujarat and Pakistan equal to the size of UP? As the area of the nation increases, the supply cost increase. Pakistan has perennial rivers and Bangladesh lives in water. In India, many villages and cities don’t have local source of water. Population explosion and urbanisation, modernisation, industrialisation, double cropping, etc, are increasing the demand of water and resources are limited to supply safe water to all destinations. If Govt spend all money on water then people assessing infrastructure will start shouting. For a big nation the break even of life cycle comes later. As a result of inter-state rivalries and our inability to come to an agreement with Bangladesh, there is only water mismanagement in our country and this has been going on with all governments no matter which party is ruling. How can people refuse to give water to other people of their own country? Besides, so much water is wasted because the pipes are old and rusty, or people living in hutments near the pipelines drill holes and let the water flow unchecked.